For their part, the LA Phil has received a certain amount of flack by those accusing them of over-hyping Gustavo Dudamel. I blame the hero-hungry media for the eventual excessive hype, and I think the LA Phil marketing department has merely been doing their job. 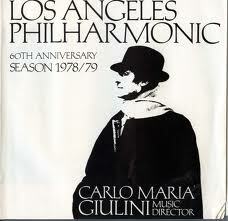 In fact, the orchestra has a long history of capitalizing on the star power of their music directors — exotic and dashing Zubin Mehta, Armani-clad and fedora wearing Carlo Maria Giulini, Hollywood-connected André Previn, and the legendary bicep-baring poster of Esa-Pekka Salonen that the Los Angeles Times lamented once it disappeared. Other cities are equally likely to celebritize their own conductors: during Michael Tilson Thomas’s first season in San Francisco, you couldn’t turn a street corner without seeing a poster with “MTT:SFS” hanging from a lamp post; Ricardo Muti’s visage has been prevalent in Chicago this past season. Marketing — much like music — is one of those professions done in full view of everyone else, and advertising in particular is something about which everyone is bound to have an opinion. I sympathize with the marketers. It’s not easy to break through the clutter, raise awareness, and increase consideration for any product that’s trying to attract a new audience; classical music is particularly difficult given that the “product” (i.e. the music being presented) is at least 50 years old under the best of circumstances, with most popular works being 100+ years old. What can be said about Tchaikovsky or Gounod that is truly fresh and original? That doesn’t make it particularly commendable to call Roméo et Juliette “The World’s Most Famous Love Story” for the umpteen-millionth time, but it isn’t so horrible either. New Season, New Blog and a Contest! Submit your title ideas to contest@laopera.com with “Name That Blog” in the subject line for a chance to win 2 tickets to Eugene Onegin performance of your choice. * Submissions will be accepted until August 31st and a winner announced on September 6th. We can’t wait to see what you come up with! I’ve submitted a few of my own ideas (“Raking the Stage” is my personal favorite) and we’ll see if they like any of them. Perhaps you can do better. Good luck to us all. 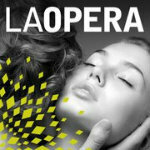 Tags: Advertising, Carlo Maria Giulini, Eugene Onegin, free tickets, Los Angeles Opera, Marketing, OutWestArts.com, Timothy Mangan. Bookmark the permalink. Thanks for the mention Dexter. It’s very much appreciated. We’ve had hundreds of submissions so far and are still accepting them until August 31. Good luck on your submission!